Why the government is wasting money like this. I respect Vallabhbhai Patel and I would have respected the government more if they had planned something for poor people in the same money under Patel Ji's name. People are dying with hunger and they are spending money for a statue. I don't think Patel Ji will be happy with this. Hats off to your kinda "statue of unity" spend money on things which are worthy rather than doing such things, you could have spent on the people who are in need and building statue or naming it unity doesn't make difference in people until there's peace in our country. 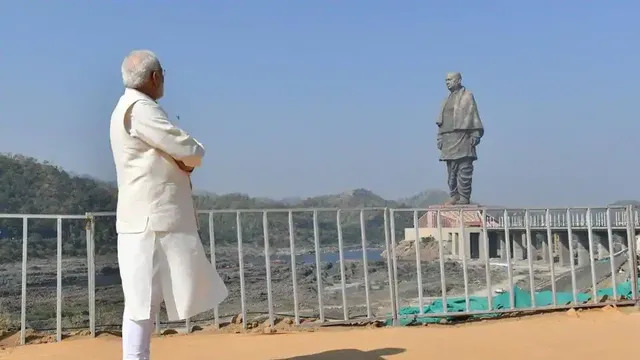 In a country where people are still dying of hunger prime minister Modi wasted more 2000 Crores Rupees on building this Statue of Unity. Heights of misjudgment. Try and do something for the farmers. For women those who are not safe on road's, for soldiers, for people those who didn't even have water to drink people those didn't even have food. Please for god's sake don't waste our money. and if you really want to do all this please do it with your own money. This post has received a 10.42 % upvote from @boomerang.